If you are skiing or snowboarding this winter, here's a refresher on some ViewRanger features to use on your next snowy adventure. ViewRanger has specialized Ski Maps covering nearly 3,000 ski destinations across the globe, illustrating more than 60,000 miles of color-coded ski trails and runs. These maps cover popular ski resorts in Austria, France, Italy, Switzerland, USA, Canada, and Japan. Track your runs. 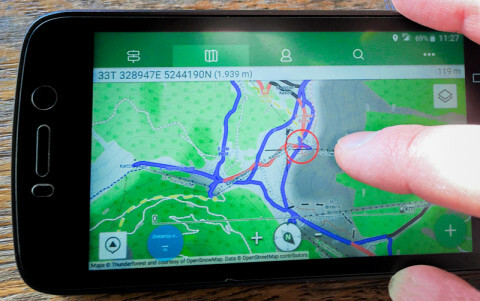 It’s fun to relive your day on maps, see how far you traveled, and view interesting stats like elevation gain, elevation loss, and average speed. Skiing with friends and family? It’s easy to get separated on the slopes. Or, maybe you want to ski some moguls while others explore the terrain park or a new blue run. Use our BuddyBeacon feature to live-track everyone in your group. 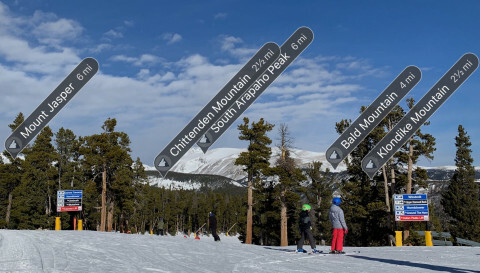 Use our Skyline feature to identify peaks around you while you ride the ski lift or gondola. Take a Skyline photo and share with friends after your epic day. Here’s to lots of fresh pow-pow. Have fun out there.